"King's Way Online Bible College and School of Ministry"
TEACHING THE TEACHER, perfecting the saints. For wisdom is a defence, and money is a defence: but the excellency of knowledge is, that wisdom giveth life to them that have it Eccl 7:12. 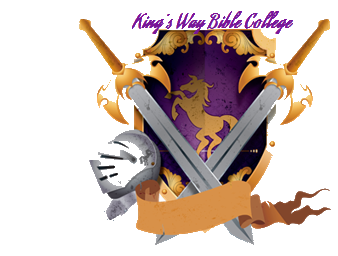 Welcome to King's Way Theological Institute, the home of King's Way Bible College and King's Way School of Ministry. At Kings Way Theological Institute, College and School of Ministry, we focus on education that is far-reaching, thought provoking, spirit enlightening and life changing. It is not seminary as usual. Our classes teach God's teachers how to excel in their perspective ministry endeavors. And, we bring our classroom to wherever you are. By combining the fantastic power of contemporary technology with tried-and-true teaching methods, we provide our students a real-time learning opportunity all online or via VOIP. ​Our classes are geared to accelerate your ministerial position by providing extensive bible study and training that culminates in your ministerial ordination or degree. ​There is no ministry affiliation requirement associated with your ordination or degree. ​So what are you waiting for? If God is calling you, it's time for you to prepare yourself to answer the call. We can help you do that. At King's Way Theological Institute, we have but one goal - that is to "perfect the Saints that will perfect other Saints".